A wondrous combination of some tropical fruit skins (yet not exuberantly fruity) with a clear salt tang, clean earth and the glint of mineral oils. Traces of old bottle effect. Flecks of graphite, soot and gentle medicine. A moderately phenolic peat graces the more maritime aspects. Not a gigantic whisky by any measure but one whose simple bygone charms are sure to delight the pilgrim not lost by this old Bowmore’s surprising subtlety. Certainly not one for the boisterous rapture of camaraderie – as was my experience – but for the quite introspection in the chill still of the night. Unsurprisingly, very much in the same vein though initially I preferred this by a hair on account of the insistent tropical fruit and pure flints in fresh brine accord that marked its expression, which hearken back to another legendary old Bowmore. It’s baseline however is again cleanly medicinal, earthy-phenolic, and quietly smoky in a sooty, black coal and tar way. But never too much here and there, and just so. Her dulcet tones and perfect poise, an ageless beauty lost in time, but which itself time cannot mar. 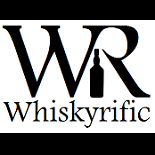 This entry was posted on January 22, 2019 by Whiskyrific in Bowmore and tagged Bowmore, Cadenhead.